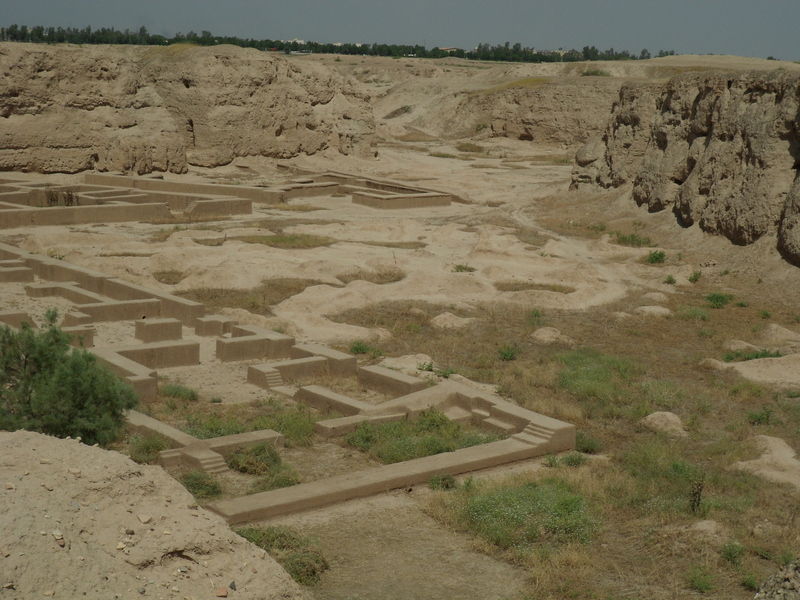 Mud brick has fallen out of fashion, so cities no longer rise ever higher on the jumbled bones of dead houses. When the Flood or the Umman-Manda next come, perhaps we will regret that, for there is nothing like a good tell for persuading nasty people to go brutalize someone else. But if you follow the Universitätsstraße which runs from a vanished city gate past the Hofkirche and a secularized cloister by the theological university towards the railway arcade, you can see this process still at work. The trench down to the Old Elamite 15th city in the Ville Royale at Susa. There are three tells like this at Susa covering a square kilometer. I suspect that this rise in street level had something to do with the works to construct the railway arcade, or maybe converting the street from bare earth to asphalt with sewers below. 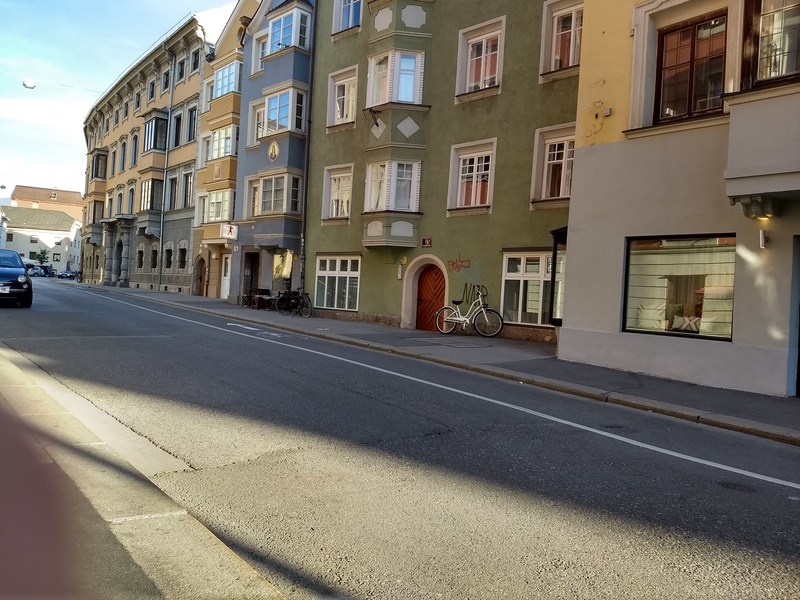 These days the city fathers of Innsbruck have rediscovered that rebuilding the streets is a great way to create work, but they seem determined not to raise the streets any further just move a bus stop here and a tram station there. In a few thousand years, I don’t think Innsbruck will look like Susa. But customs change and the future is full of surprises.